This darling runner features a cozy home on a snowy winter's night with Frosty in the foreground. 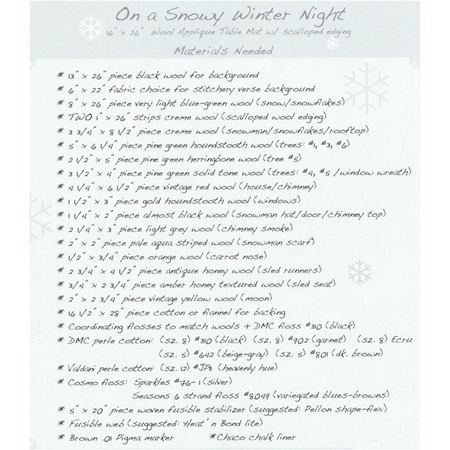 Pattern includes all instructions for this wool applique table runner. The verse reads: "When Winter Winds begin to blow...come feathered flakes of falling snow...Yule logs burn so warm and bright while families gather for the night...Amidst the joy and heartfelt love are blessings sent from God above."